The signboards are designed for use 12c works or urban work with the LP13 mini light arrow. The design objectives -that the boards had to have enhanced safety features as well as being operator friendly – have both been achieved. Acklea are one of the industry’s leading traffic management vehicle hire and sales specialists. 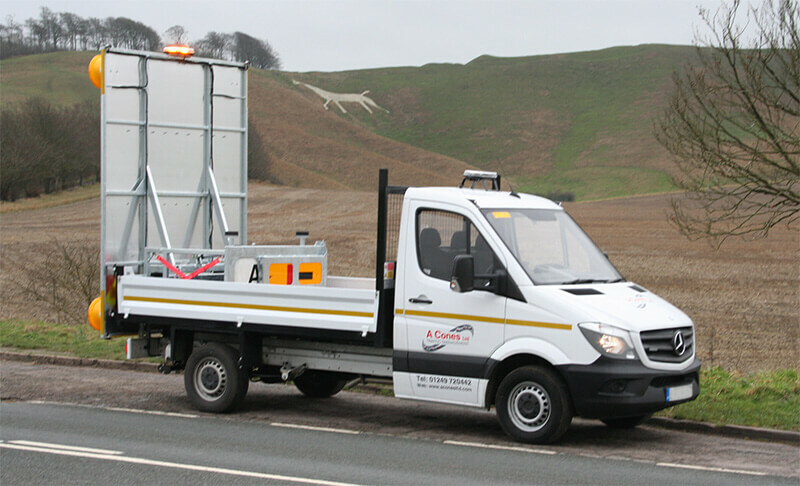 Our fleet of vehicles with de-mountable sign boards are the safest and most advanced machines available to hire or buy today. All the Acklea Traffic Management vehicles have been designed for maximum operator comfort. They are equipped with the latest in-cab technology with an emphasis on the safety of the operatives. With our regular servicing and maintenance schedule you can be assured of total performance and reliability from your hired vehicle. A service support technician is available to respond promptly to unforeseen problems. The sign board can be fitted to any flat bed vehicle. So, if you would prefer to purchase rather than hire a sign board from Acklea, our experienced technicians can fit it onto your own vehicle. Once your vehicle leaves our workshops we can continue to provide full maintenance and servicing and as well as a back-up support service, if required. The Acklea vehicle mounted sign board has been designed and built by those with direct experience of working in live traffic. As a result, the ultimate design objectives – that the vehicle had to have enhanced safety features as well as being operator friendly – have both been achieved. 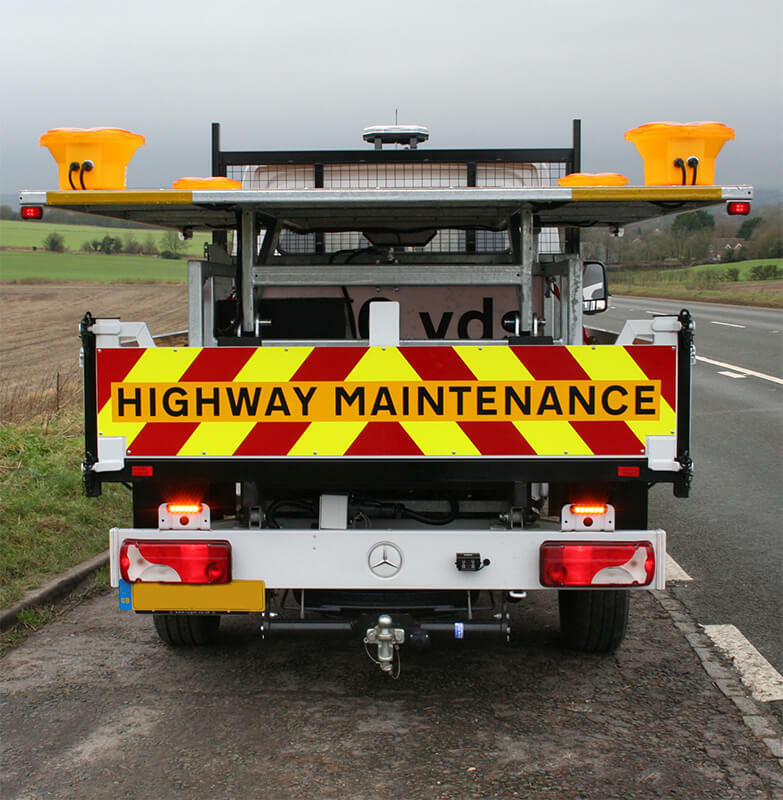 Acklea’s unique hydraulic system allows the operator to raise and lower the sign board from within the cab and whilst on the move. Not only does this reduce the danger to the operator but it also saves time. The vehicle mounted sign board overcomes the towing laws. It can be mounted and de-mounted in minutes with no more awkward reversing. Easily changeable wicket boards allow the lane closure boards to be fitted from ground level. This is a much safer option as there is no climbing required by the operator. Full cab control ensures the operator’s safety, avoiding the need to get out of the vehicle into live traffic to adjust the sign board.